People want to discover the information they’re looking for, when they need it, and in the easiest format preference possible. That’s why we’ve all grown attached to websites. We want some information and then quickly pickup our phones to find it online. But there’s nothing worse than getting to a webpage that has too much information when we only want a quick answer. In fact, most people only want a simple answer! In fact, metrics show quick amounts of time for a website session. Most people give up if they can’t find the content easily and most give up if the page content looks too dense, boring, or long. We just want the facts! Does your church website deliver more than the facts?! 1. Clarify what your page’s takeaway is. Many times we get wordy in our attempt to "fill: pages. Stop. Every page doesn’t have to be full (more will enjoy a page with light content and wide margins). Consider why each of your personas would want to arrive on the webpage and clarify how you would answer them as concisely as possible. Make sure it’s "enough" but don’t give additional information they wouldn’t want (unless it’s done in a secondary area). 2. Remove any unimportant word or concept. This is the tough part. Edit. Edit. Edit. Examine each sentence and consider ways to provide information and answers, but try to say it with less words. Supply a Readers Digest version. 50 words per module/page is something to shoot for. People really don’t want to do the editing — they expect you to! 3. Add links with secondary page content. Finally, look at the content that’s left. Can you provide links within the content to make it scannable? As people search/scan across the content, the links will lead them through the content and give them the ability to go deeper. If they want. Links catch the eye almost as much as bullet points; you may want to try to combine them! If you do this throughout your website, you’ll create an environment that attracts congregation and community. Who knows? 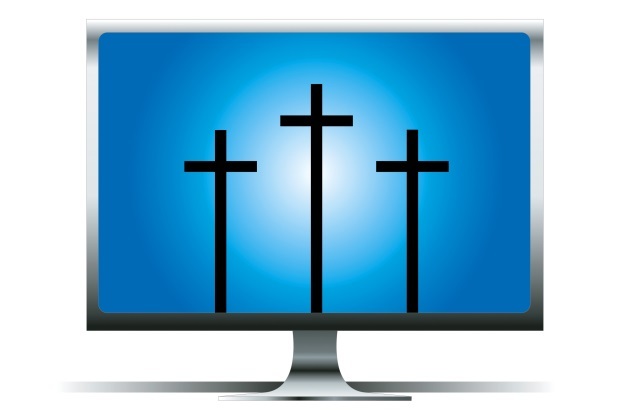 It may start affecting your entire church’s content! Saying less, so you engage more.